The best way to keep up with us! I am almost sure that no other place can beat the Peking Duck from Dadong Roast Duck in Beijing but one can only keep on looking. Being in Singapore, we get access to lots of very good Asian dishes and of course Chinese food is the most spread around. Chinese food can be pretty broad but there are a few very typical dishes that are easier for “westerner beginners”. Peking duck is my favourite one of them. Whoever's been to London and had horror of those restaurants with brown birds hanging on the windows should read on.Those birds are typically duck that are roasted and cut to perfection to bring out the best flavour of each section.The very skilled chefs firstly cut rectangular pieces of the skin and serve it with sugar. Then the more juice meat is served sliced with thin pancakes, cucumber and sweet sauce. The rest then can be cooked as a stir fry with vegetables, rice or noddles. The restaurants in Singapore follow pretty well this recipe but there are better places to have it. Say no more to dry dark shredded duck meat from Chinese take away in the UK and welcome the good stuff! 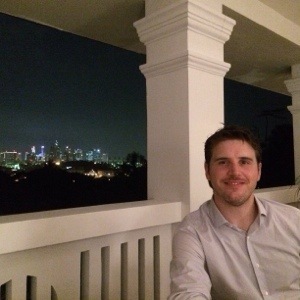 Cassia at Capella hotel in Sentosa: by far the absolute best experience. The place is beautiful, the hotel amazing and the service terrific. The duck is also fantastic and goes for a very reasonable price. I totally recommend it. Min Jiang @ one North: this restaurant is at Rochester Park so it has a beautiful setting. 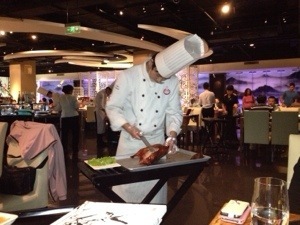 Problem is that it is pricey and the duck is not very good. The skin is not as crispy and the meat not as tender and has less flavour as the other 2 here. I would definitely not recommend this one. The journey of finding the best Peking Duck in Singapore will continue on but for now this is it. Enjoy!